It doesn’t take a person with a high demand of taste and fashion to feel awkward if someone else wears the same outfit as you, but if the dress makes you look confident and fabulous, who cares? In the case of entertainers and public figures, it isn’t uncommon to see them wearing similar outfits when they go out to public events. Many celebrities are often sponsored by the same company or have all used the same stylist at one point in their careers. Take Gao Yuanyuan (高圆圆) for example. 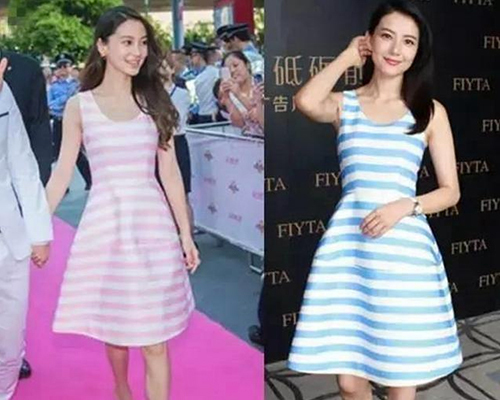 The Chinese actress have been spotted on numerous occasions committing a fashion faux pas—wearing outfits that other celebrities have already worn. But this hasn’t stopped the Don’t Go Breaking My Heart <單身男女> star from looking fabulous, elegant, and confident. Supermodel Ming Xi (奚梦瑶) attended a reality show press conference wearing the same black Stella McCartney dress that Yuanyuan wore months ago. The dress looked youthful on Ming Xi, but sophisticated on Yuanyuan. 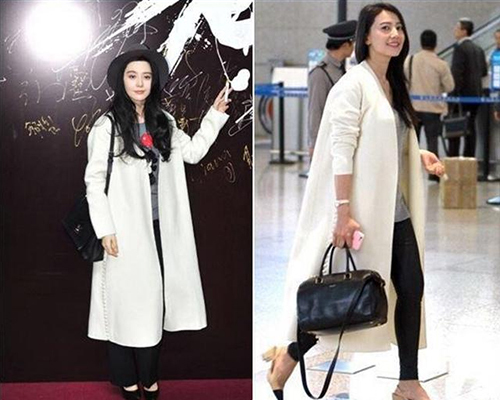 Fan Bingbing (范冰冰) had it on for an event, while Yuanyuan kept it as airport fashion. Who wore it better? 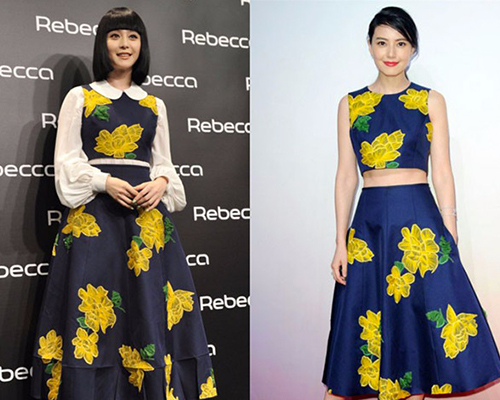 Despite it being the same dress, Bingbing and Yuanyuan styled this same dress in completely different ways. 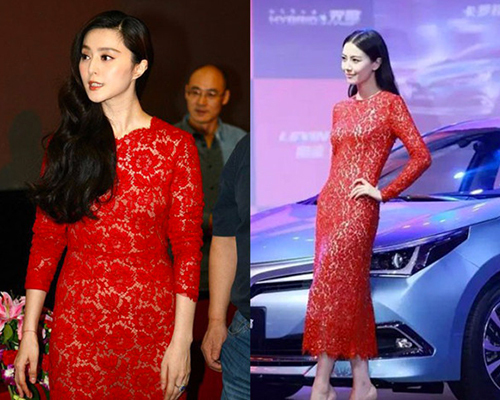 Bingbing and Yuanyuan battle it out again by wearing the same red lace dress to different events. Same expression, same outfit. Win win. 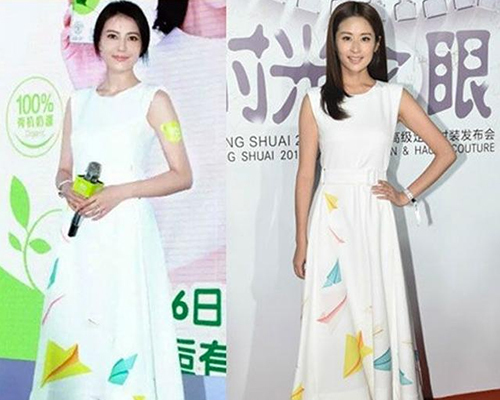 Angelababy and Yuanyuan have been seen wearing similar outfits on multiple occasions. In this case, the two actresses wore the same mermaid skirt one after another. Yuanyuan definitely looks just as youthful as the 27-year-old model-actress. They both look so adorable in stripes! 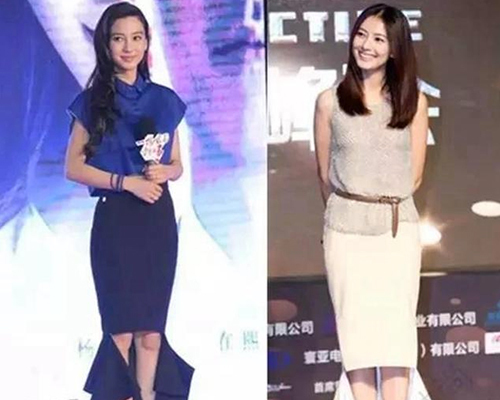 Who carried this cute dress with more confidence, Yuanyuan or Chinese actress Ying Er (颖儿)? 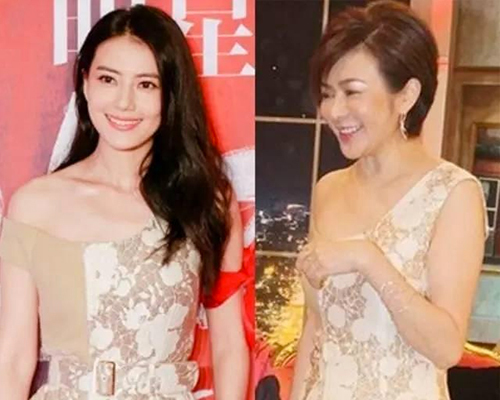 Yuanyuan has made that off-shoulder look a trademark of hers, and this time, she’s sharing the same outfit as legendary actress Rosamund Kwan (關之琳). Its probably not even her that selected the outfits but her stylist. Her stylist should be sacked! What an embarrassment to wear outfits thats already been worn by others already. Tsk tsk. the media and netizens make such a big deal about actresses wearing the same dress. so what if they share the same taste? No harm if you wear it better. In all Pictures gyy wore it mich better. nothing wrong with another person wearing the same dress…if she looks better in it, it may even be an embarrassment to the one who wore it earlier. GYY looks so good in the dresses. super elegant. I think it’s fine if she wore the same dress that other actresses wore before. Especially, since she rocked it much better than the other actresses! GYY def. look better in all the outfits in the photos above.